Parents of fresh and graduating students are not happy with the management and leadership style of Professor Nduwa Lalee, the Vice Chancellor of the famous University of Port Harcourt especially as it concerns finances, thereby calling on the Vice Chancellor to resign his appointment, positing that a federal University cannot function and operate in a grand corrupt environment when the federal government is launching war against corruption. The call is coming on the heels of the recently conducted matriculation and convocation ceremonies of the institution when the VC is reluctant to reimburse both fresh and graduating students certain amount as deposits on their academic gowns. For the graduating students twelve thousand (N12,000.00) naira were charged as deposit for their academic graduation gown with an agreement to refund Nine thousand (N9,000.00) each to the graduands while five thousand (N5,000.00) naira each were collected from fresh students with a view of reimbursing a thousand naira. However, the parents wondered since after the matriculation and convocation the authorities of the institution has failed to refund the huge sum back to parents. 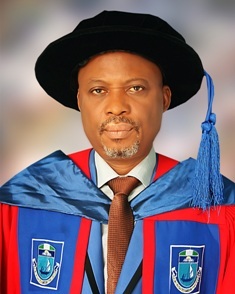 A parent and traditional ruler (names withheld) whose children and wards were involve had while decrying the reluctant nature of the VC, Professor Lalee in refunding the deposited sums, noted that the high level of corruption in Uniport is such that the Economic and Financial Crimes Commission (EFCC) should investigate. Students of Uniport are also not left out in calling for the embattled professor Lalee to resign his appointment since he is no longer useful to the academic environment, adding that in Uniport poor students could not sit for their examinations without payment of school fees and failure to pay on stipulated date attracts shut down of school portals, a situation the students noted had cost them non-registration of their courses before examination. The Newswriter education correspondent gathered that, 8, 248 students matriculated and 18, 378 students convocated in March, 2017. According to some students of the institution, the administration the current VC is the worst leadership so far had in the institution. From information, this weekly gathered that a total sum of one hundred and seventy-three million six hundred and fifty thousand naira (173, 650, 000) is still in the hand of the VC.